In August (on my birthday actually! ), I was awarded a contract through Tourism Northern Ontario, formerly RTO13, to organize and facilitate 6 2-day social media training sessions throughout Northern Ontario. With the proposed start date of October 7th, I was responsible for booking venues and catering in 6 cities, organizing my travel arrangements, as well as planning the curriculum for these training sessions. 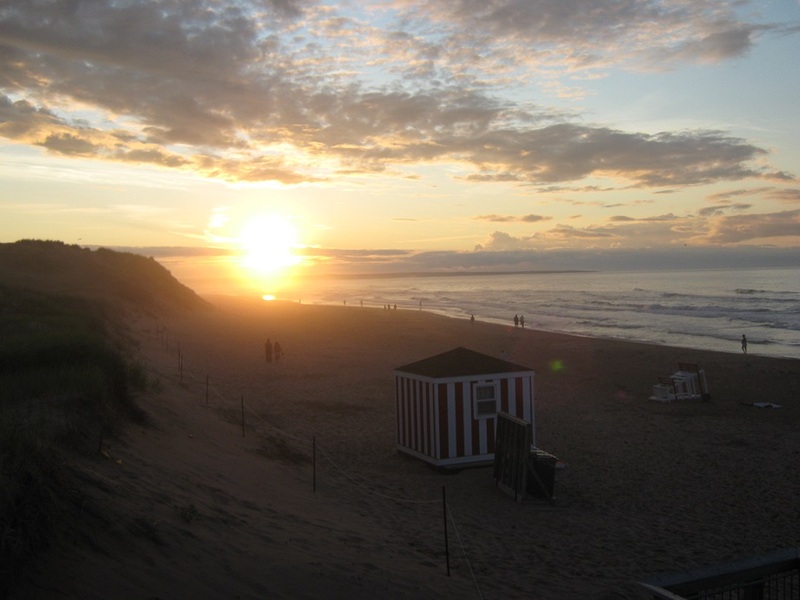 Given that I am from the “south” I learned a lot about what our northern counterparts have to offer, including fabulous food, friendly people, and their love of all things LARGE. Kenora resides in the Central Timezone. The Kenora Dinner Jacket is a red plaid jacket worn by the locals in Kenora. There will be snow, snow squalls, and snow accumulation in communities west of Thunder Bay during the month of October. Fill your gas tank when possible because you don’t know where the next gas station will be. When my trip was complete, I had put over 3,100km on the rental vehicle. The food at the Best Northern is incredible! Owners Teresa and Mark are European, specifically Polish, and showcase their heritage in their cooking. After arriving in Wawa from Sault Ste. Marie on Wednesday evening, I was greeted with a yummy menu full of delicious food, including fresh homemade pierogies! Subsequent evenings included homemade pumpkin soup, and chicken paprikash. Any restaurant that makes chicken paprikash is in my good books! THANK YOU to Lynn from the Lake of the Woods Museum, who attended the social media training, for suggesting this wonderful restaurant. After the first session was complete, she came over to me with a map of downtown Kenora and said: “I think you’ll really like The CornerStone. It’s on Main Street.” So after talking a walk to visit Husky the Muskie, I went to get dinner – and it was DELICIOUS. I had the CornerStone salad, complete with a roasted red pepper, goat cheese, artichoke, chicken sandwich. The waitress was also very friendly and chatty, which certainly helps when you’re dining solo. After driving from North Bay to Sault Ste Marie on Thanksgiving, I was craving a good home-cooked turkey dinner. I certainly got a treat when I went to Gliss, the restaurant found within Bay Front Quality Inn & Suites in Sault Ste. Marie. Complete with turkey, stuffing, mashed potatoes, roasted vegetables, and cranberry salsa, I couldn’t have asked for a better Thanksgiving Day dinner. Stretching 228 km, Highway 17 (aka Trans-Canada Highway) between Sault Ste. Marie and Wawa was one of the most breathtaking drives I’ve ever experienced. This was also one of my first experiences with Lake Superior, also known as Gitche Gumee via Gordon Lightfoot, and the landscape that is the Canadian Shield. I was fortunate to drive this path while the fall colours were still in full force, which made it that much more beautiful. Although I stopped to take photos along the way, the photos were unable to capture the true beauty of the landscape. Plan a trip up this stretch of HWY 17 next fall – you won’t be disappointed. provincial park, which from a distance, looks like a giant who is asleep. I wonder who was the first personal to notice this interesting landscape. Located at the Tourist Information Centre, the Wawa Goose was manufactured in the 1963. Synonymous with being Canadian, the Wawa Goose acts as the gateway to this welcoming community. The Wawa Goose is in trouble though. 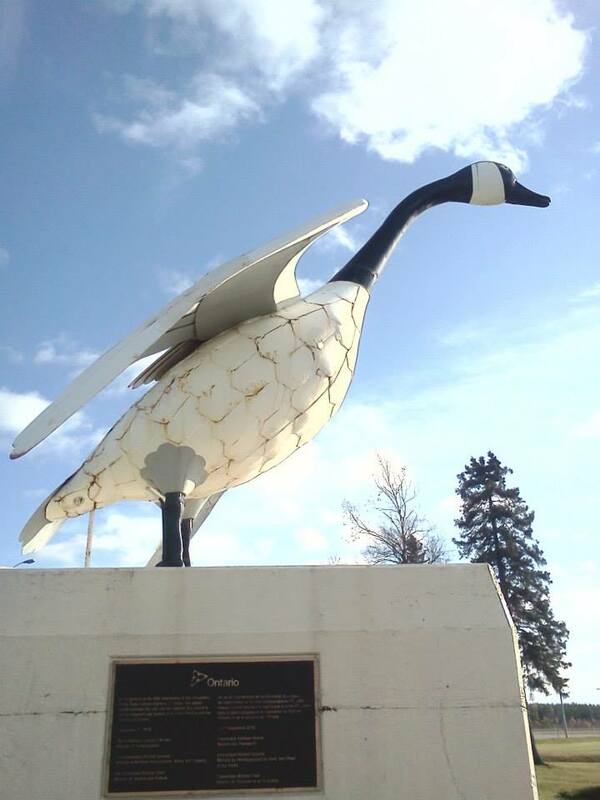 Proudly looking over the community for 50 years, the original goose is tired and needs a replacement. Make a donation so that Wawa can find a replacement! The conclusion of my Northern Ontario trip was bittersweet, although excited to return home to my husband and life in Kingston, I will truly miss all those individuals I’ve met as well as the true beauty of the Canadian north. “Pics or it didn’t happen” is a phrase used by individuals stating they will not believe the other individual’s claims of a situation unless there is photographic proof (Source: Urban Dictionary). As social media and technology becomes more integrated with our daily lives, I believe this maxim will become increasingly meaningful. This past weekend I was at a good friend’s son’s first birthday party. As the group gathered around to witness the mashing of the cake, I noticed that nearly every person (12 or so) had a phone-in-hand to capture the moment, except for my husband and me. I didn’t take a photo because I knew I wasn’t going to post the photos to my business’ Facebook page, or tweet them to my followers. While we didn’t capture a still of the child dragging his hands through the cake, nor the face he made once he realized he was covered in cake, we do have the memories in our mind. We didn’t have to fumble with our phones, click to zoom, and miss moments to make sure we captured them. As an active user and trainer of social media I teach that photographs are a vital element to developing online relationships and increasing engagement with fans and followers. Photos allow fans and followers to connect with a business on a more intimate and personal level than ever before. If a business is actively posting and sharing photos, they are ahead of the curve. As with most things, though, there is a time and place for everything. Don’t allow technology the opportunity to take a real life experience away from you. Is this photo for personal use, or business use? Is this photo relevant to my fans/followers? What will I do with this photo? Remember: Photos are important to developing online relationships, but don’t jeopardize your real-life relationships in the process. Take a moment to think before you snap and post, keeping in mind your business’ goals and objectives.